Why DJ With Ableton Live? When it comes to DJ software, Ableton Live can sometimes look like a neglected child compared to its older, more DJ-friendly siblings Serato and Traktor. 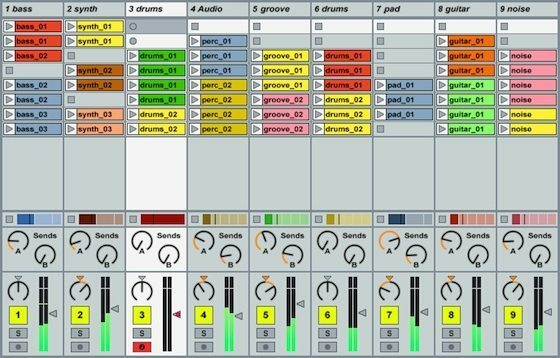 It’s pretty common to find lengthy lists of features that Live users think Ableton should integrate into the next version (DJTechTools author Zettt has a handy list here) but despite this, I still believe that Live can be a great platform for digital DJing. Given all the negative publicity, you might well ask, ‘Why bother DJing with Ableton Live at all?’ There are some very compelling reasons to use Live, but before we get into that, it may help to look into what, exactly, Live is and isn’t. The first thing that needs to be said about Ableton Live is that it is not designed primarily for use by DJs. This should be pretty obvious when you compare screenshots of Live, Serato, and Traktor in action. 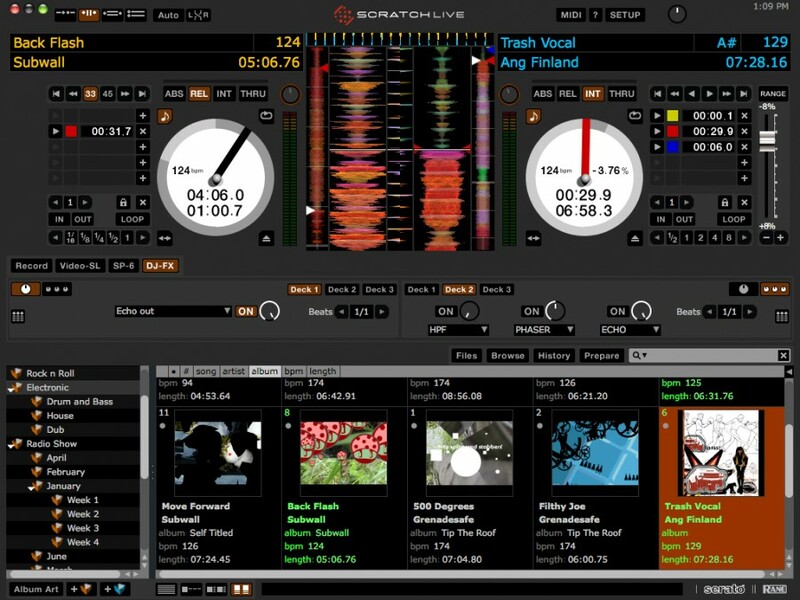 While Serato and Traktor both use two-deck layouts that display the waveforms of the tracks alongside a bank of DJ-specific controls (EQ, looping, effects, etc. ), Live’s interface is very different. Both Serato and Traktor attempt in different ways to recreate the workflow of a traditional DJ booth with two decks (be they CDJs or turntables) and a mixer in the middle. Live’s default ‘session’ interface, on the other hand, is positively spartan by comparison. The difference is that Live is a DAW (digital audio workstation) that is geared for live performance. While other famous DAWs – Logic, Fruity Loops, or Pro Tools – allow musicians to compose and create songs, they don’t allow song manipulation on-the-fly. 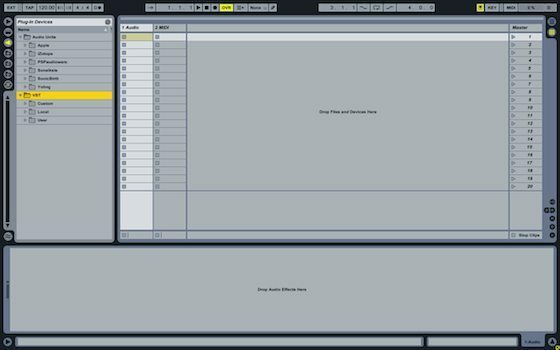 Ableton’s innovative session interface allows performers to trigger samples, loops, basslines, drum patterns and other sounds in real time, and manipulate them by altering their parameters or by applying effects to them. With a few kludges – treating whole songs as sample clips and running an EQ plugin on each track at a minimum – this session view can be manipulated into functioning as a virtual DJ workstation. 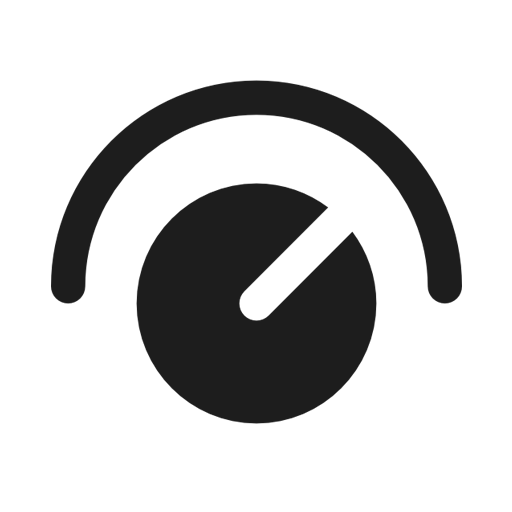 Live’s biggest strength when it comes to DJing is its warping engine and the way it handles song tempo. 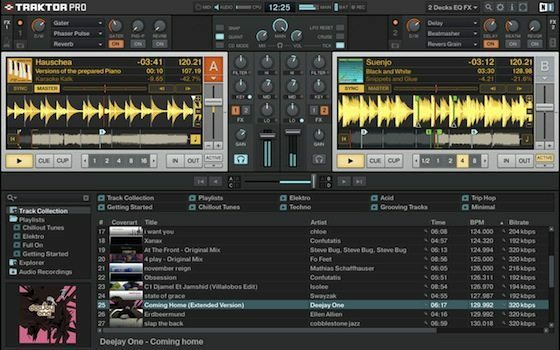 Traditionally, a DJ mixes between tracks by beat matching each song with the next. Once the second track has been blended in, it then becomes the reference tempo for the third track, and so on. Live removes this process from the equation through its warping engine. 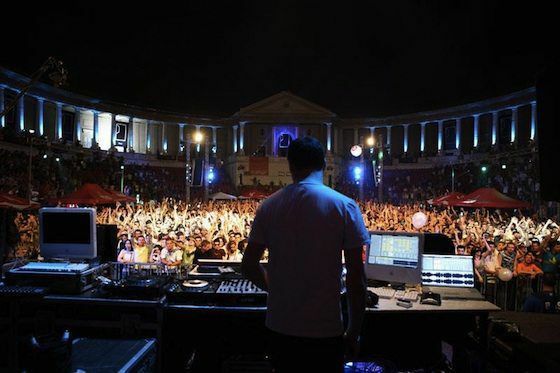 Instead of letting the tracks set the tempo, in Live the DJ sets a master tempo and Live plays all tracks at that tempo. If you’ve correctly told Live where the beats of your songs lie, each song will play back in perfect synchronicity, eliminating the need to beatmatch while performing. Live’s warping engine does more than simply slow down or speed up track playback. You can also use it to fix problems in the original tracks. Say you want to mix a 70s funk track (recorded with a live drummer whose sense of timing is a little loose) with a recent electronic track with a steady, computer-generated beat. Mixing between these two tracks on CDJs or turntables would be a nightmare, as the funk drummer’s beat isn’t constant and the mix would require constant manual intervention. With Live’s warp markers, you can snap the funk track into perfect timing before playing it, creating a silky-smooth mix between different styles. 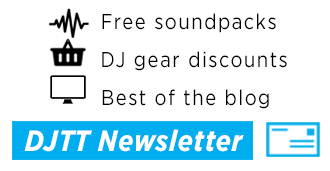 Let’s say you want to make a promo mix to hand out to club owners and booking agents. 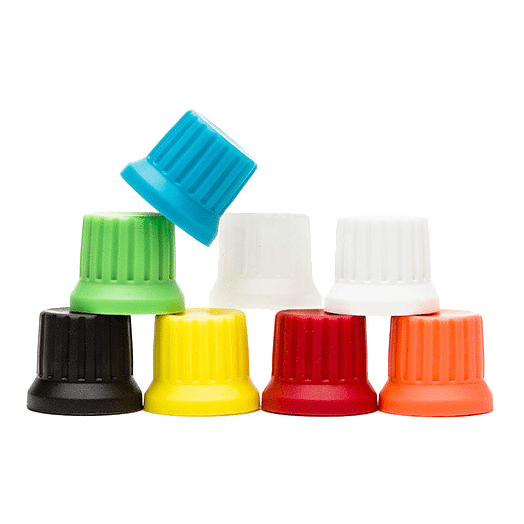 With other DJ software packages, or with a traditional decks and mixer setup, you’d record the audio coming out of the mixer and be stuck with it. If you fluffed a transition, you’d have to stop recording and start the set again. Live, however, doesn’t record the audio going out of the program, but records when you triggered the clips, at what volume they were playing at the time, and any effects you had on them, and sends that information to the ‘arrangement’ view (closer to a traditional DAW’s timeline view). This means that if you fluff a transition by, say, bringing a track in one bar too early, you don’t need to worry: you can switch to the arrangement view and manually move the track forward to where it should have been. You can also add effects after the fact, use panning to spice up transitions, and use Live’s built-in EQs to tweak the sound for a smoother promo mix. Just make sure you can deliver a decent set when the promoters give you a call! We’ve all had the experience of listening to an excellent track only to come across a grating passage. Maybe it’s an unwelcome bridge that muddles up the transition between verse and chorus, or maybe it’s that 16-bar guitar solo that saps the song of all its energy. With Live, you can simply send a problematic track to the arrangement view, chop out the offending bars, and join it back together to make a quick and dirty edit. You can even backmask profanities out of a track if you want to rock the local high school disco. Of course, these simple changes are the tip of the iceberg. You can use Live’s arrangement view to create your own mashups, or you can completely dissect and reconstruct a song as well as add original drum patterns, synth swooshes, or a new bassline. (You can find DJ Nisus’s detailed guide to this process here.) These techniques will naturally lead you into the realm of production. If you’re thinking of creating your own tracks in the future, Live is a very attractive proposition, since it is at heart a DAW – and you can’t use Serato or Traktor to create your own original songs. The basics of Live, which you have to learn in order to DJ with it, will still be useful when you make the move to production in Live, and you’ll be using a familiar interface. Even better, once you have created your own tracks in Live, you can send their parts back to the session view, where they can be creatively integrated into your DJ sets. Want to introduce just the drum pattern and bassline of your own song alongside someone else’s? Easy done, just trigger the appropriate clips to create your own mashups and remixes on the fly. As I’ve stressed, Live is a full-featured DAW that can, with a little elbow grease, be transformed into a DJing tool. 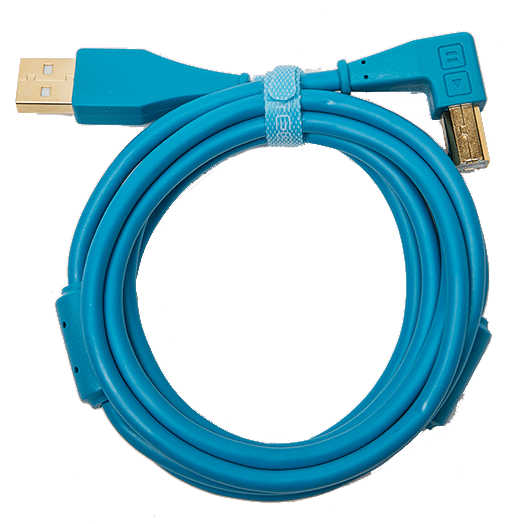 This means that you can take as much or as little control over the software as you’d like. You can keep things simple by emulating a traditional two-decks-and-a-mixer setup, or you can break your tracks down into smaller clips for more modular mixing. (Live allows you to play as many tracks as you’d like simultaneously, while Serato and Traktor are limited to four tracks – and you don’t need to spend extra on hardware to enable this feature.) You can utilise heavy-duty MIDI controllers such as the Akai APC40 or the Vestax VCM-600 to give yourself powerful controls, or you can rock a house party with as little as a Korg NanoKontrol and a cheap external soundcard. 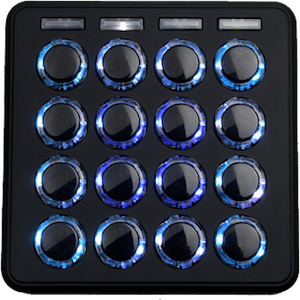 Note: Our Midi Fighter controllers now include Ableton Mode, with handy features such as momentary control mapping. With Max4Live you can even integrate third party digital vinyl systems such as Ms. Pinky to emulate functions found in Serato Scratch Live or Traktor Scratch Pro, or program your own devices. The only limit is your imagination. One of the best things about Live is that it can use the VST and AU standards for external plugins, meaning that you can purchase thousands of professional-quality plugins for complex effects, sound synthesis, or to create a tight synergy between hardware and software (for instance, Native Instruments’ Maschine can be easily routed into Live’s workflow using the supplied VST plugin). You can also download a huge number of freeware VST plugins to add features to your Live setup without spending an extra dime. And if you’re feeling particularly creative, you can chain together VSTs in order to create your own custom effects. SO SHOULD I USE ABLETON LIVE TO DJ? You’re happy rolling up your sleeves and getting into the guts of a piece of software. You don’t want to tinker with a program in order to get it to work for you, or you want something that Just Works. Direct playback of .mp3s (they must be converted to .wav by Live). 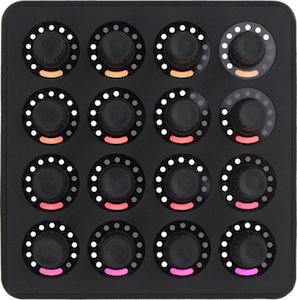 If you’re intrigued by the possibilities of Live, swing by Ableton’s site to download a demo version and give it a go. You never know, it could just be the start of a digital DJing love affair.